Jinder Mahal is getting a shot at the WWE Championship. Mahal won a number one contender's match on tonight's SmackDown to advance to Backlash, where he'll challenge for the title. He got an assist from The Bollywood Boyz before pinning Sami Zayn to win the six-pack challenge, which also included Luke Harper, Erick Rowan, Mojo Rawley, and Dolph Ziggler. Mahal moved over from Raw in last week's Superstar Shakeup. Before Backlash, current WWE Champion Randy Orton will take on Bray Wyatt in a House of Horrors match at Raw's Payback pay-per-view on April 30th. Another future title match was also announced on tonight's show. Charlotte Flair will challenge for Naomi's SmackDown Women's Championship next week after beating her in a non-title match. 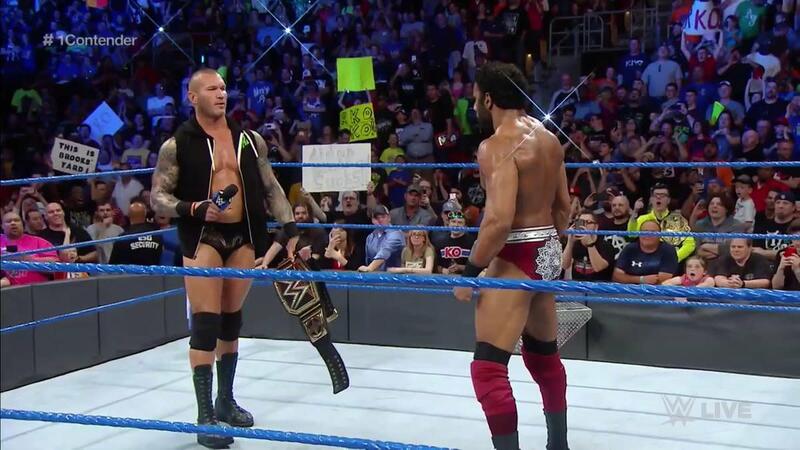 Orton vs. Mahal is the first bout officially announced for Backlash. The show is SmackDown's first post-WrestleMania 33 PPV, though it won't take place until May 21st. The Allstate Arena in Rosemont, Illinois will host the PPV.